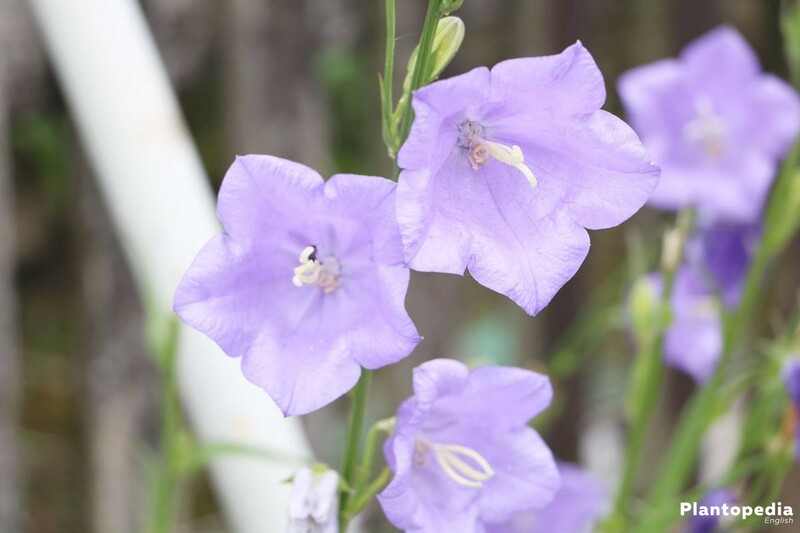 The bell flower, with its soft blue blossoms, is not only a beautiful sight to look at on your windowsill, but also looks great on your terrace or balcony. 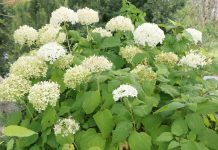 Due to its low-maintenance nature as it is very easy to take care of and quite robust, the plant is especially suited for beginners. 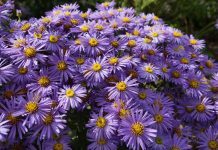 This care instruction will outline what has to be done to sustainably enjoy this ravishing plant. 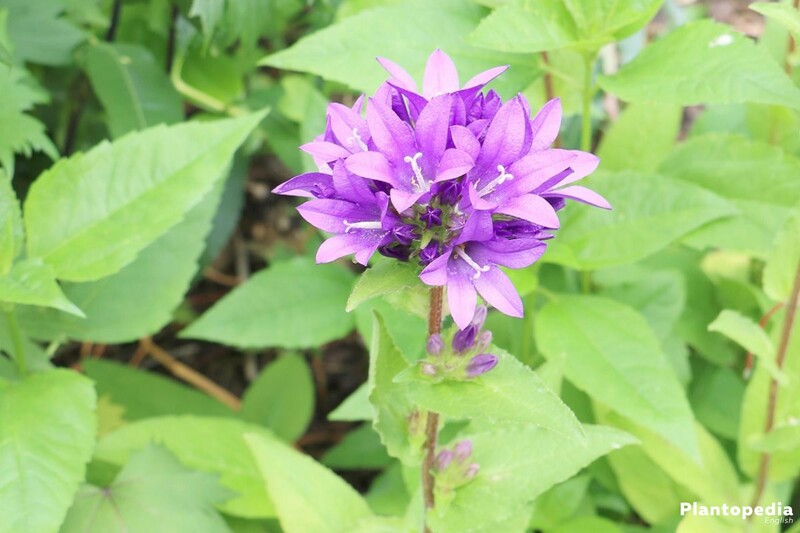 The bell flower is a plant which is easy to take care of and has no particular location preferences. 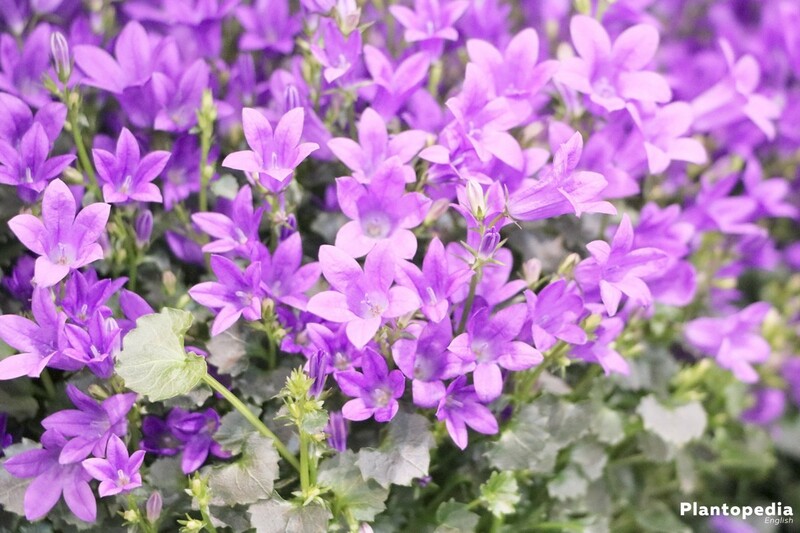 Whether it is on the windowsill, the terrace, the balcony, the garden bed or in the hanging basket, there most assuredly will be one variety out of the approximately 300 of the Campanula which will adjust to the situation at hand. The multitude of soft blue, star formed or bell like flowers offer a nice contrast to the green leaves. 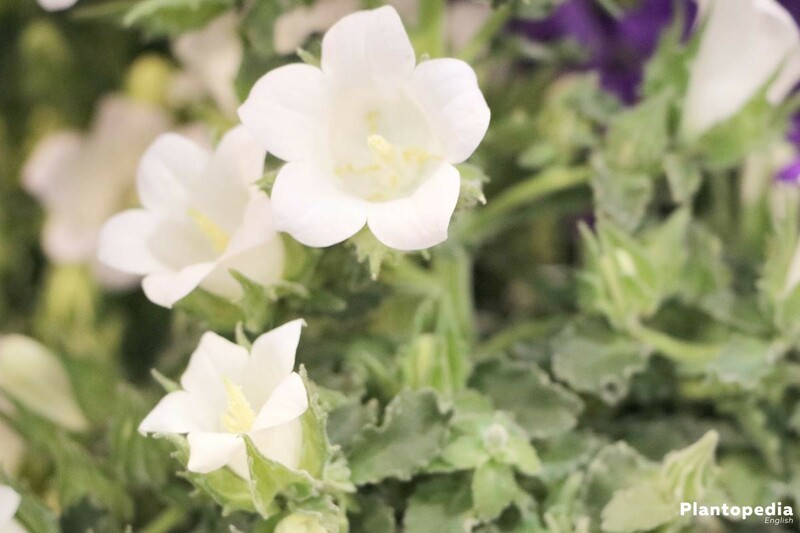 Some cultivated bell flower species are available for purchase with white, yellow, red or violet blossoms and thus offer a big variety. There are approximately 300 varieties known which are located on roadsides or mountainous regions. The term bell flower originates from the 16th century. A slew of storytellers and poets were inspired by their softness and its blue color. The color is the reason that the imaginary elf and fairy are being depicted with a blossom bell which covers their heads. 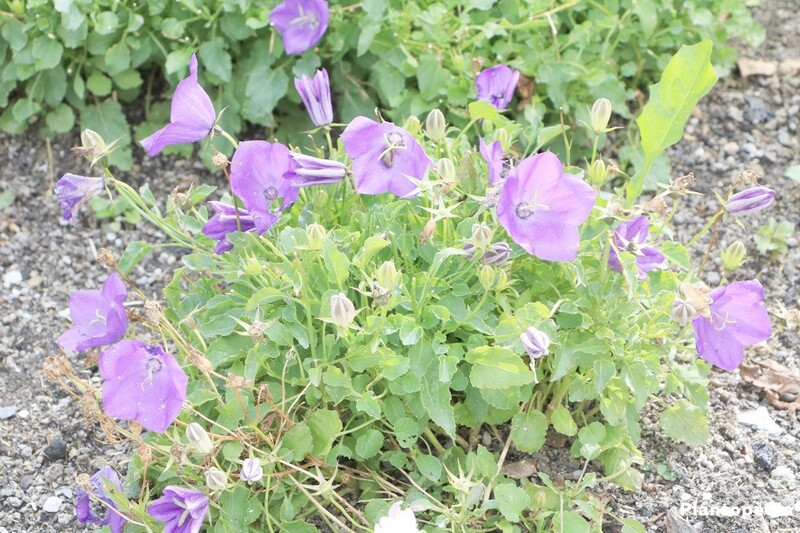 The bell flower has been named the shrub of the year in spring 2001. The bell flower is generally known to be easy to take care of and is thus suited to be handled by beginners. 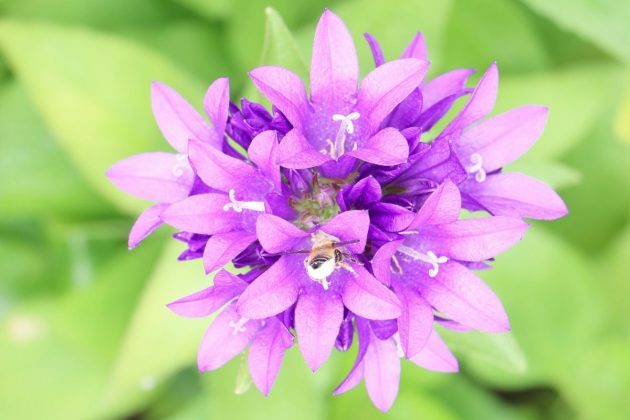 As the bell flower enjoys many diverse locations, it carries a multitude of usages. The following cultivation guide shows how the bell flower can be kept healthy by a proper cultivation. 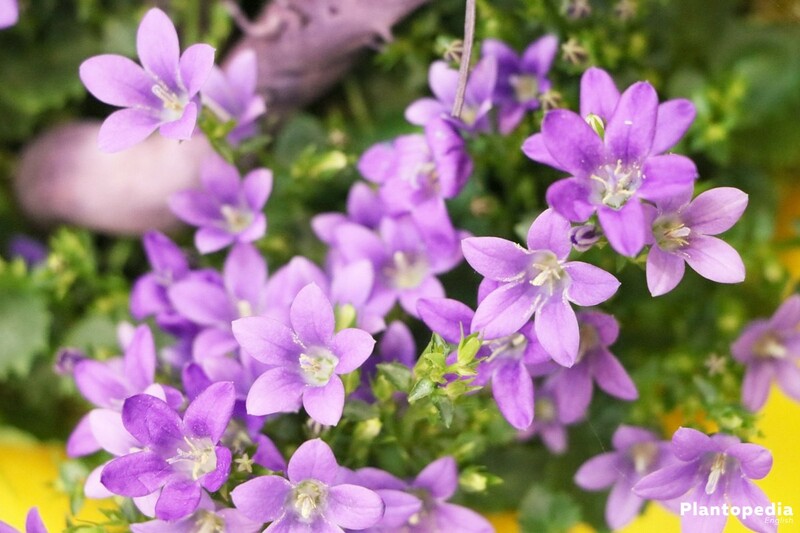 Perennial bell flowers flourish outside and nearly every location which is airy and bright. 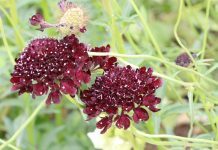 The plants are, depending on the variety, happy with a sunny or half-shady spot. 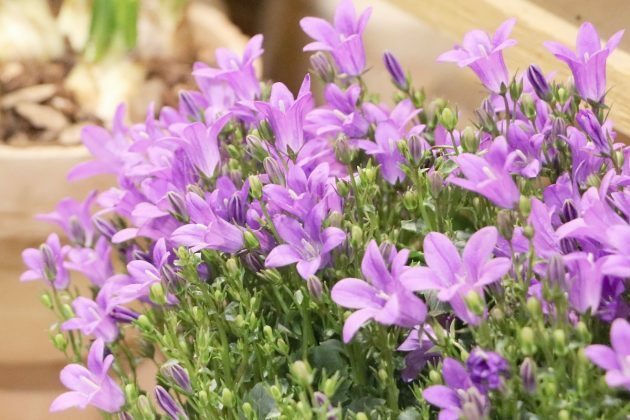 As the bell flower is frost-sensitive, it is recommended to get them inside and put them in a cool spot at the beginning of September for the purpose of hibernation. The temperature should lie around 10°C, as otherwise they will sprout too early when it’s warm. 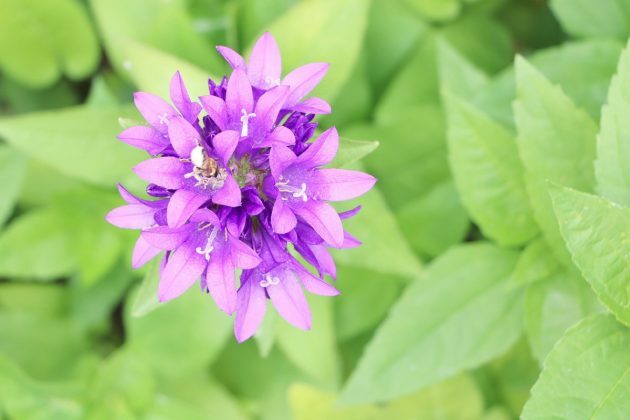 As indoor plants, the bell flower tolerates nearly any spot, as long as it is not exposed to the bright summer sun, as the midday sun could possibly burn the plant. 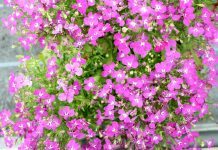 Warm air is also not being tolerated by the bell flower; it should therefore hibernate at a spot with a temperature of around 10°. 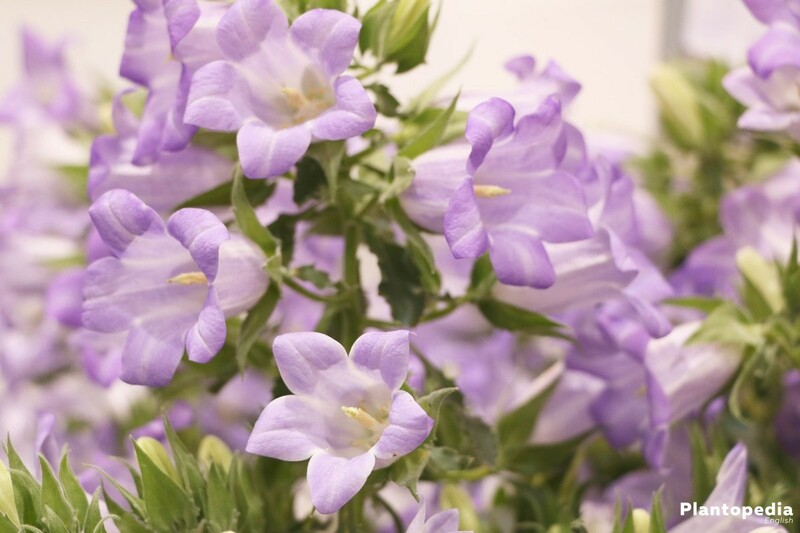 Bell flowers require, depending on the variety, soil which is more or less moist. Many bell flowers accept a loosened ground which is low in clay and humus. Ordinary planting soil can be used for indoor plants. Important in this case is a proper drainage in order to avoid water logging at the roots. 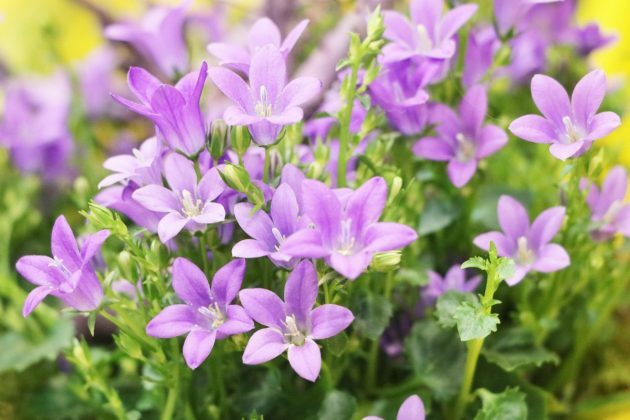 Young bell flower plants are ideally being placed inside bed or bucket during spring so that they take roots until winter. 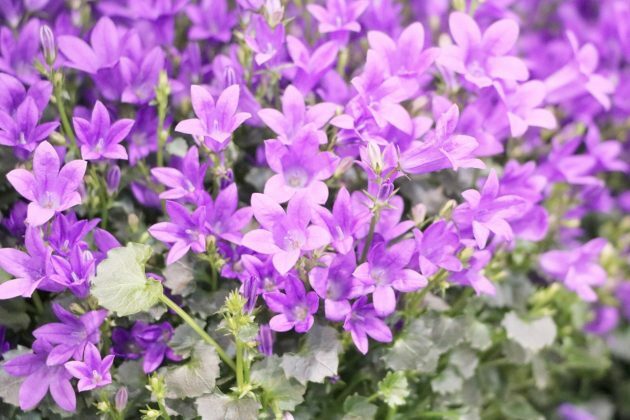 Purchased, already stronger bell flowers can be planted until the end of summer in order to take roots. 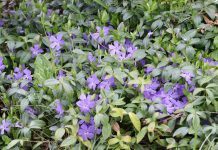 Bell flowers should not be planted in a bed until the middle or end of March. One should take a focus on the ground being loose and low on humus and the distance of the plants lies approximately around its growth of breadth. The planting process in a bucket resembles the one of the bed. In order for offshoots to grow and spread, the chosen pot should not be too small, in order for the bell flower to properly being able to spread. 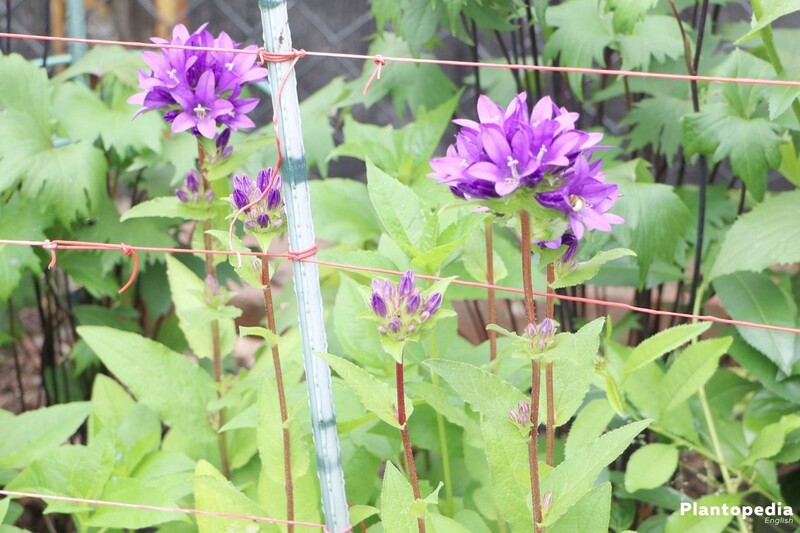 If a high bell flower is being planted, it can be supported with sticks. 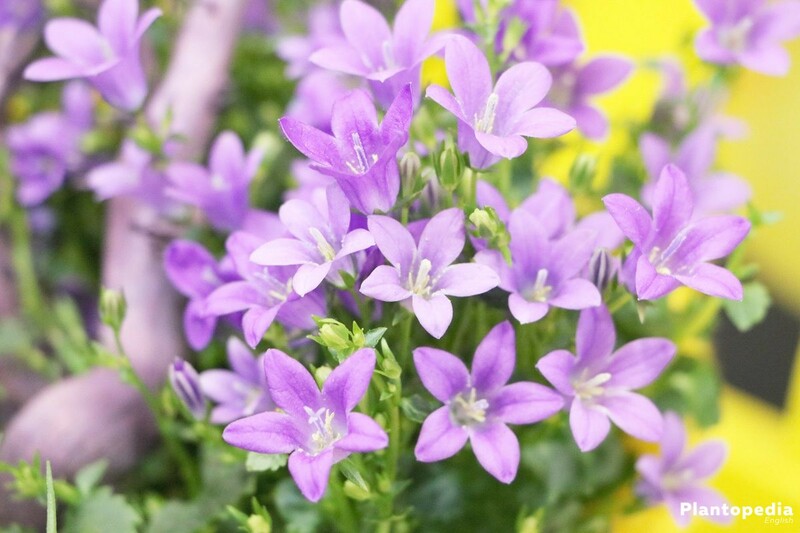 It is possible to replant bell flowers being kept as bucket or pot plants during the entire vegetation period of spring until May. This is being above all recommended when the amount of roots in the bucket is higher than the amount of soil. A multiplication by division of the bell flower is also possible within the process of replanting. The rooted sticks are being placed in a tiny pot right after the division. As soon as the roots are showing at the surface, they can be placed in a bigger pot. Like every other plant, the bell flower requires regular watering. High bell flowers should be watered more often. The bell flower requires especially within the main growth period as well as the flowering period a sufficient amount of water, the soil should furthermore be kept moist. It is of prime concern to ensure that no soil wetness at the roots occurs in order to prevent rot, e.g. by placing drainage in the bed or in the case of buckets or flower pots a trivet. Surplus water in the trivet should be emptied sometime after the watering. Bell flowers can, with no problems at all, be watered with tap water, as they, unlike other plants, have no problem with the lime content. 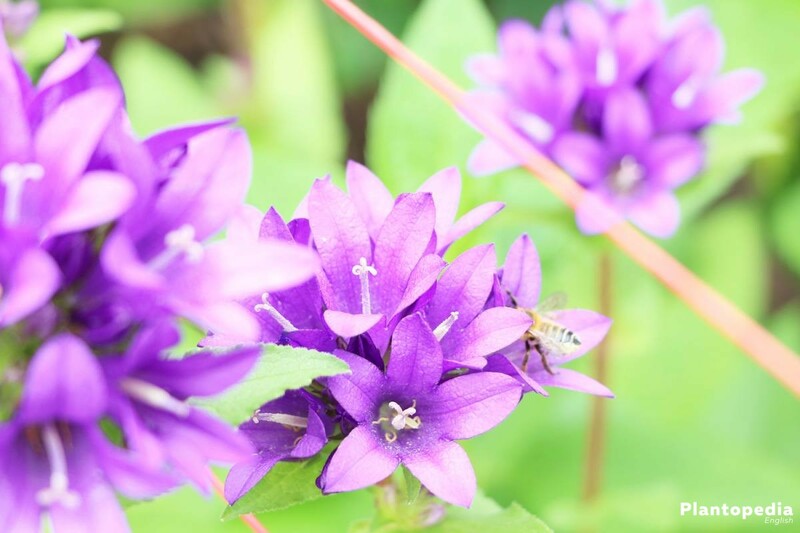 By adding standard fertilizer, the bell flower can be strengthened in its structure and the flowering process. 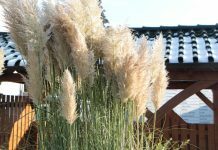 Depending on the size and the growth rate, the plants are being fertilized every two weeks or once a month. 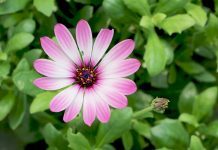 An organic complete fertilizer simplifies the work as it is easy to dose and there is no possibility of overdosing, as it is being processed by the flower if required. 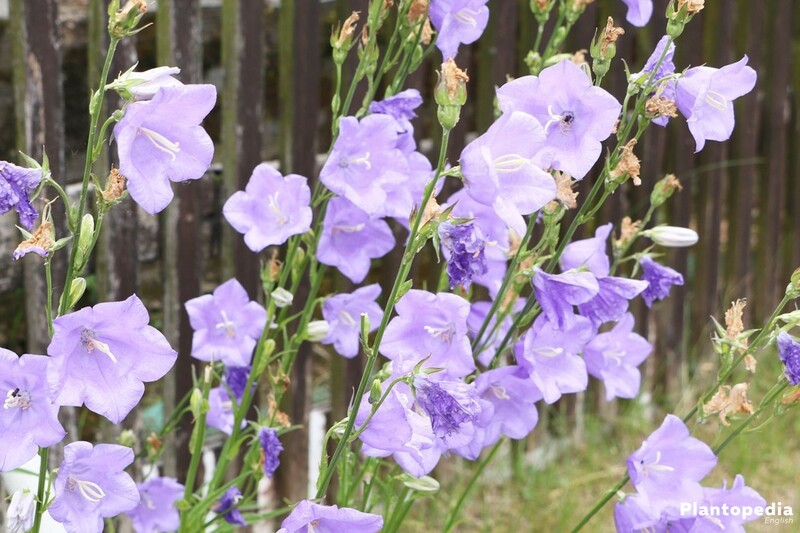 The cutting of bell flower is possible, but not necessary. Provided that the plants in for instance a bucket reach unforeseen heights, some shoots can be removed. 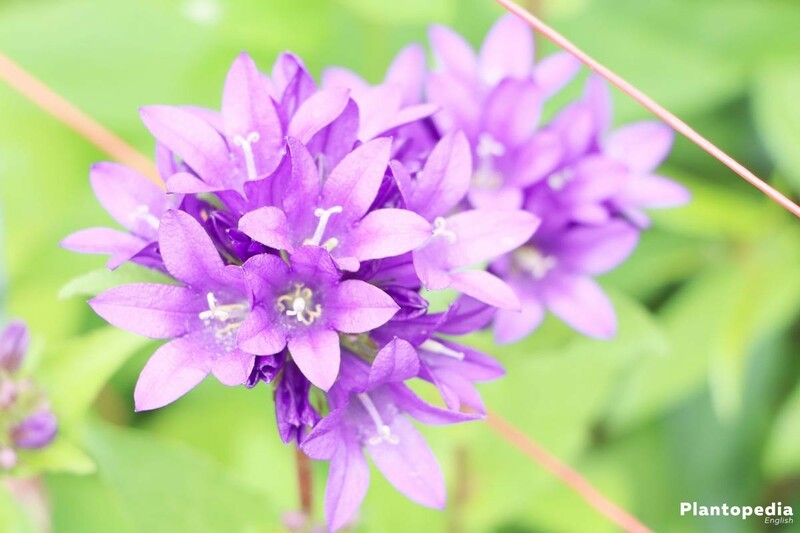 Bell flowers are often not hardy, which is why perennial plants require a winter location. During the winter storage, an unimpeded plant growth takes place in order to save forces for the next year. If they are being kept outside because of a lack of a proper inside winter location, they require shelter due to their frost sensitivity. The shelter can be spruce or pine branches which should be placed around the plants in a thick layer. You can place the bucket together with Styrofoam at the warming house walls if there is no possibility to store the bucket with the bell flowers inside (for instance because of a lack of space). Additionally, the buckets and plants should be wrapped with a warming material (e.g. straw mat). Bell flowers mostly spread their own seeds and thus multiply themselves. They can also be multiplied by seeding (e.g. Campanula fragilis), division or cutting (e.g. Campanula isophylla). The seeds of the bell flower can be cultivated on your own for buckets or balcony baskets starting the end of February. 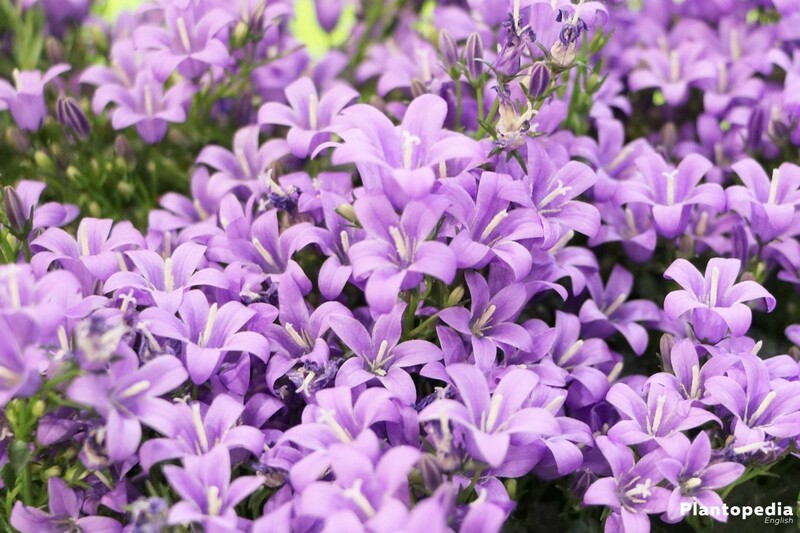 The young flowers can then, from the middle of May be replanted into buckets or balcony baskets. 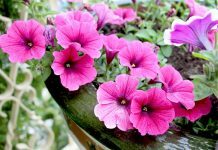 Alternatively, the seeds can be sown directly in the buckets of balcony baskets from middle of March, if there is no danger of frost. The seeds are often so called cold shooter, which means that they have to be exposed to low temperatures for some time (e.g. 2-8 weeks in the vegetable drawer of your refrigerator). As soon as they get in contact with warmth, they will start to drive out. 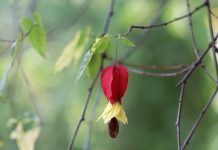 One should also consider that the seeds of the bell flower are not durable for long. Even collected seeds should be sown out as soon as possible. 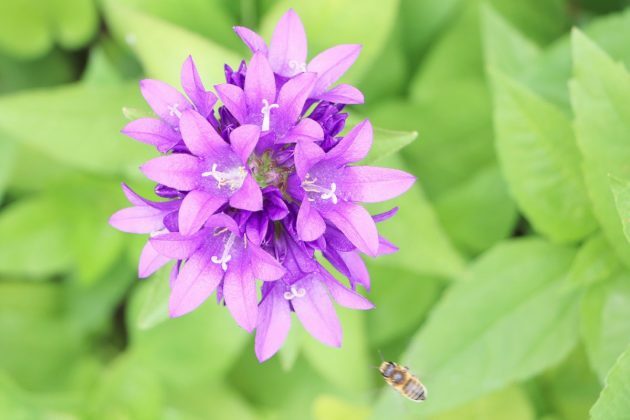 After a successful hibernation, the big bell flower plants can be alternatively divided within the process of replanting in spring if the root stems are not too woody. In this process, the rootstock is separated into several pieces and the old earth is removed if possible. The partial pieces are subsequently being replanted in fresh earth. Bell flowers are somewhat vulnerable if they are being kept in moist conditions. They are then subjected to fungal diseases and leaf spot diseases. A short-term improvement can be incurred the possibly optimizing the water and fertilizing behavior. 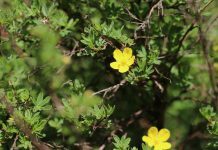 If the disease proves to be very persistent, all affected plant parts will have to be cut. 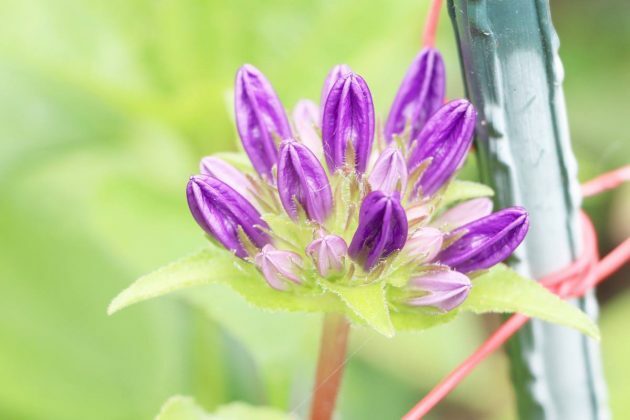 The plant itself will have to be treated with a biological product. The so called Mosaic Virus is being indicated on by yellow stripes, zigzag lines or rings on the bell flower leaves. 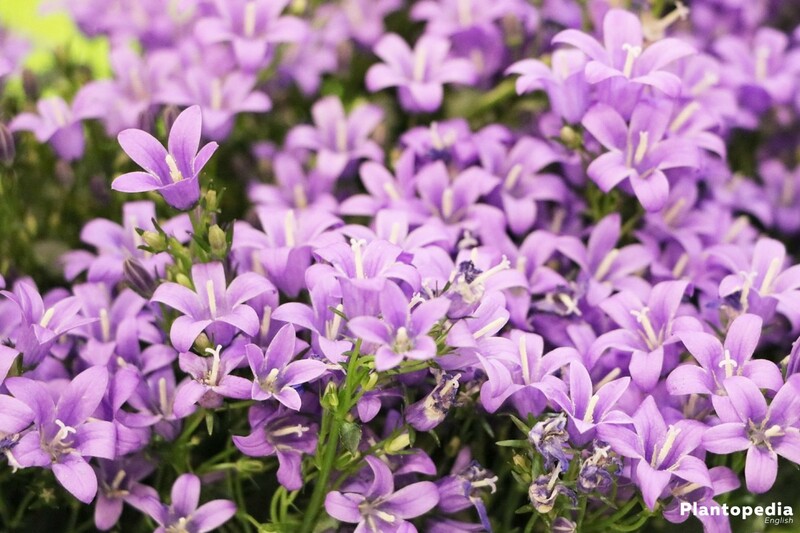 The affected bell flower plant has to be immediately removed and destroyed, as the virus is highly contagious and could affect other plants. 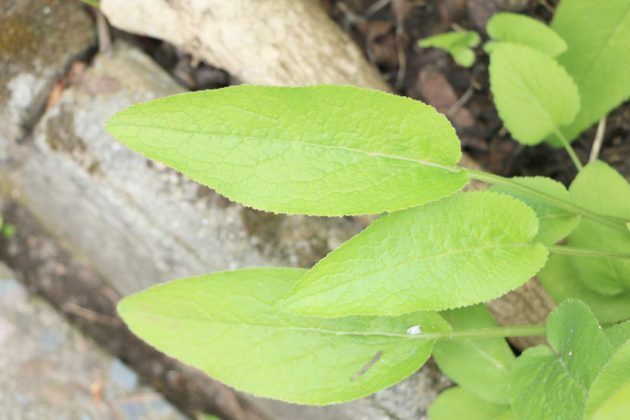 If yellow leaves occur, the reason could lie in a deficiency of any kind, e.g. water deficiency, not enough fertilizer or light. 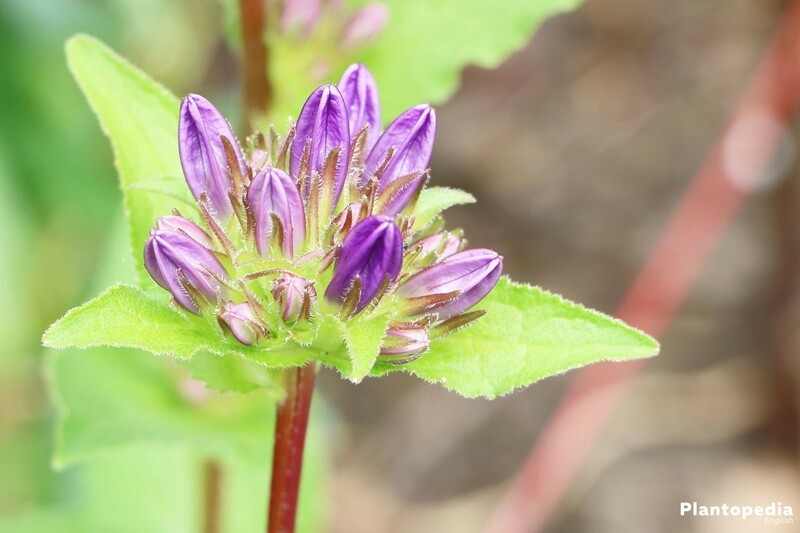 If the bell flower is being kept too warm, it can be affected by spider mites or thrib (thunder fly), which should be immediately fought with a chemical agent. 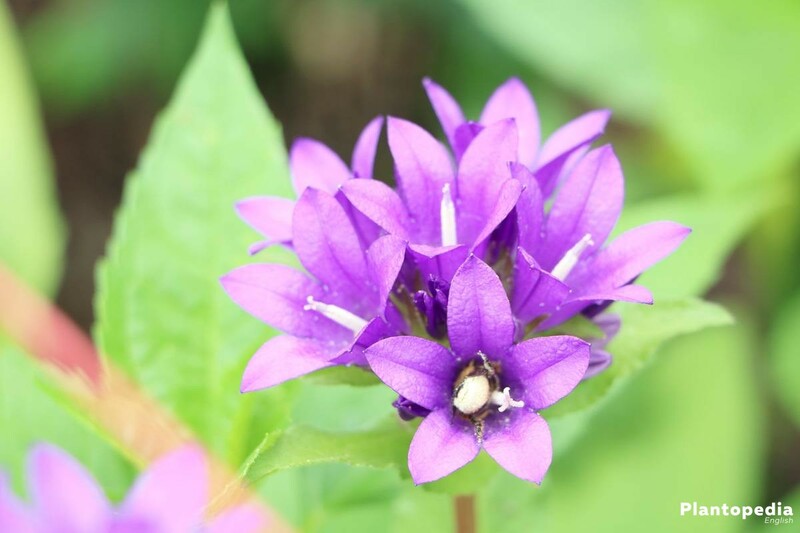 There are approximately 300 species of the bell flower worldwide, of there are about 20 – 30 in our area. 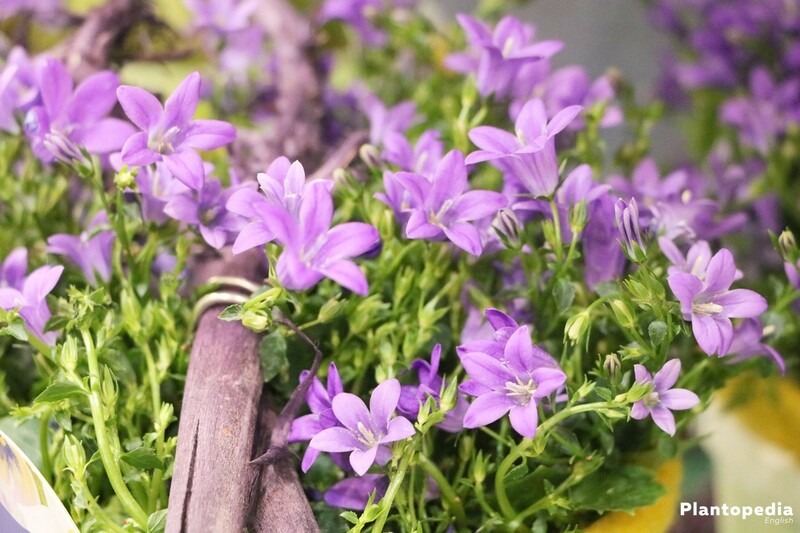 As an indoor plant, one often encounters the Campanula isophylla (filled bell flower). 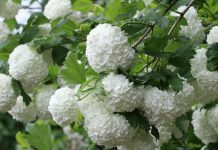 Its blossoms resemble little roses and because of its overhanging shoots it is popular for the usage with hanging baskets. More popular varieties are.